Back in January, I was trying out using my new iPhone to help avoid forgetting to do all the mundane stuff that I used to do automatically. I had timers and reminders for almost everything. I'd never been a big Facebook person but I dutifully installed the app along with a bunch of brain building logic games. Let me tell you, it's a lot easier to do logic puzzles than Facebook.Somehow I had managed to accrue over 100 friends, some of whom, I still can't say I exactly know.Brain injury or social media norm? You be the judge. Due to my new found social blundering on the internet I did reconnect with Susan Gryder from Florida. 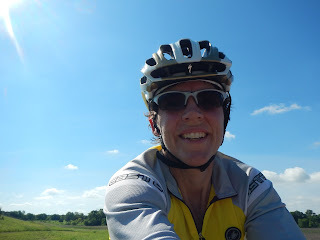 I will always remember Susan from the Sunshine 1200k last year as she rocketed by me on a tri-bike, hit a rumble strip and decimated those parts that shall not be named. Somehow she managed to be patient enough with me as I stumbled around Facebook messenger and a tiny keyboard. "How about we do a fleche in Florida this spring?" At the time, I hadn't been on a bike in months, had lots of panic attacks and was focused on teaching myself how to walk and drink a soda at the same time. I recall my friend Kerrin saying something about randonneurs just not being all that smart. "Sure that is a great idea, we just need one other person". 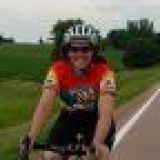 For those unaware of the obscure art of randonneuring, a fleche is a team ride of at least 360k (about 220 miles) that must be done in 24 hours. Unlike brevets, controls in fleches are untimed with the only requirements being that you have to ride at least 25k in the last 2 hours and you can't stop for more than 2 hours in any given place (though you can stop as often as you like) AND you have to stay with your team members. I started thinking about it and it seemed like this actually might be a good idea. After all, that distance had historically been my favorite, no real time pressure from intermediate controls, everyone must stay together and Florida was not going to hand me a hill festival.I could tackle the challenge of actually staying cogent for 24 hours first. We just needed 1 more person. Tackling my first 200k in Arizona came next and at that point Lisa was also having her own version of a meltdown. What a great idea to have her join as well? So I gave her a plane ticket to Florida for her birthday. I feel that sounded much better than just inviting her to go out at truck stops in the middle of the night with a brain injured friend and a total stranger for Easter weekend 3,000 miles from home. And so was born, Team Ouroboros because Team Identity Crisis just seemed way to over the top. Leveraging my new found Facebook skills, I created a Facebook group for it and the 3 of us used that to plan this whole adventure. Susan would do the route, I would do the paperwork, and Lisa would do the food and get us custom jerseys. Late in the game, we picked up a 4th member, Steve McCarthy, who I had also met in the Sunshine. Over the winter, Vincent finally got the Summer Knight out of the box to assess its health. Rear chainstays are bent, the top tube has a bad dent and it has a lot of blood stains. Ugh, not going to use that one. I decided to ship my 35 year old single speed ahead of time. But to tell the truth, the idea of getting a bike there and back was almost as stressful as comprehending doing 400k. A week and a half before, Susan suggested I ride her husband's bike. Over a long chain of 50 messages on Facebook with pictures of rulers next to bikes, we came to the conclusion that indeed, I'm just not that much different from her husband, at least in the important ways. Of course, this was an all carbon Cervelo P2 triathalon bike. I've never ridden anything even close to a bike like this.What a great idea! I'll just send my saddle and pedals in the mail.I think there must be lasting good from the injury; previous incarnations of me were way too wedded to the classic steel Constructeur. Since the first words out of one's mouth on a new job are not generally about taking vacation, I booked my flights to fly to Florida on Friday night and returned on Sunday PM.Kind of quick for a 3 hour flight but it is what it is. I managed a really cheap upgrade to first class, took a Benedryl before getting on the plane and arrived in Florida looking like I'd been packed in a box for 3 hours. Susan, her husband Robert, their close friend Bryan and Lisa picked me up at the Tampa airport. Susan hosted and I had some food before passing out in their son's ninja turtle inspired room at around midnight.Between the brain injury, the Benedryl and the décor, I really had some funky dreams. So we piled into the SUV at 5:30 in the morning and headed to the start at Nick's Diner. Unfortunately, someone had the misfortune of wrapping their car around a phone pole and taking out the power. Alas, we had wait a bit for breakfast and so wound up starting half an hour late. I got on the bike for the first time in the parking lot had some seat issues and we took off down the street starting 245 miles of adventure. The bike was a tri-bike and I had not ridden anything like it before.I had no computer and no cue sheet (I can't read in my new distance glasses anyway) so I was relying on my teammates for everything navigation wise. I really just hoped not to let them down by suddenly having brain issues or otherwise falling apart in the next 24 hours. Other curiosities of this ride: I had a sippy cup between the aero bars of the bike instead of bottles. I am still a little off on coordination so I can't drink or eat and ride at the same time.While it took some getting used to, the sippy cup was kind of nice. We had lots of controls early in the ride so I figured this would not be a big deal. ​It did occur to me as I got on the bike for the first time that the start of a 250 mile ride might not be the optimal time to sort out equipment. I'd sent measurements, but the geometry of the Cervelo was so much different that the seat needed adjustment anyway.It turned out the only weakness of this bike was that the seat refused to stay level. 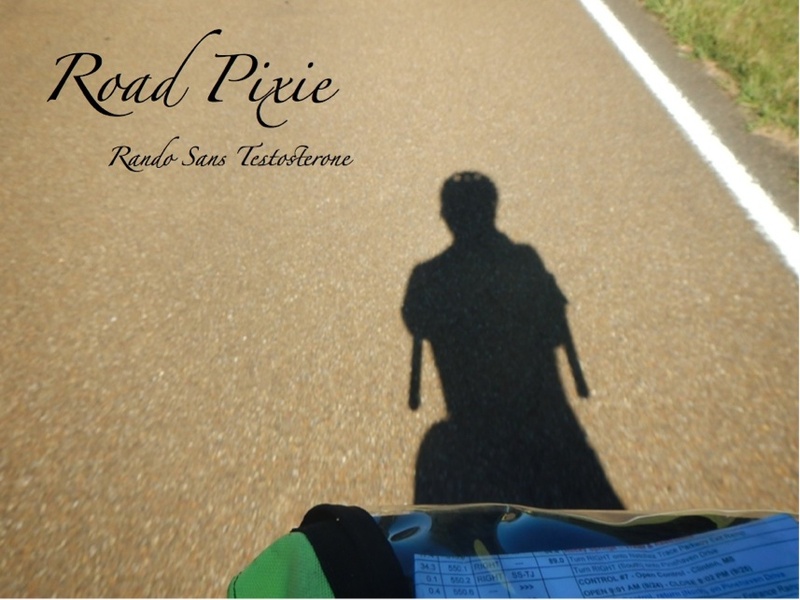 There is a powerful psychological aspect to randonneuring not to be underestimated. I've always said that after you can ride 100 miles, it becomes less and less about your legs and fitness and more about your head and stomach. Pedaling out along George Rd as the lights rose on a somewhat grey morning, I tried not to think about how long the ride was or to worry that something would go wrong. I tried to think of it as spending the day with friends I only see on occasion. This was also spring break in Florida and it gave me a chance to reminisce on my younger years. As we pedaled over Tampa Bay and crossed over onto the key that houses Clearwater, I was really quite strong.I was not totally sure if the bike or my legs were responsible, but I charged up one of the steep causeway bridges only feeling like I was on the 4th floor. Our second control was a donut shop (formerly Starbucks) and how can anyone resist donuts when riding? My latest selfie attempts are still lacking. Where is the color? For those who have never ridden a tribike, it's a different kind of ride. This one had a very long stem to make the position a bit less aggressive. The curling rams-horns handlebars were replaced by a base bar and aero bars – with everything pointed forward it was like jousting. I dubbed the bike "King Arthur" because history is littered with knights and their pointy things. I'm amazed to say this bike was one of the best I've ever ridden. A big thank you to Robert for letting me use it. It was spring break in Florida and we had put the coast on the route because, well, it's Florida and how can you not go to the beach? With a late start and stops we were not exactly putting time in the bank, but we still stopped for pictures along the way and Steve suffered our only flat of the day. There is something about the combination of sun and kitsch in Florida that always seems to be comforting. I used to vacation there with grandparents as a child.I also fell in love for the first time on the beach in Clearwater – how's that for reminiscence? At about 30 miles, I also noticed a curious sense of being outside myself. Our average pace was somewhere around 15 mphs.That is actually quite fast as an average. We climbed a large bridge off the key, the biggest climb of the day and one of the best views of the ocean. Being in a 39x53 crankset for the first time in 10 years, I dutifully ploughed my way up, visualizing the floors of the stairs going by. Curiously, I got to the top just as Lisa caught up to me; she typically is a MUCH better climber. On the other side we paused briefly to regroup, it was now sunny and hot and I had a distinct awareness of differences in myself since the injury. Those come and go sometimes, as though I am milling around in the fog with a second me. The next 30 miles or so were largely on a long bike path heading north through northern Tampa. Steve rode ahead to a bike shop to use a better pump and Lisa, Susan and I toddled along taking pictures. So far, overhead clouds had kept temperatures down to a very comfortable 75 or so, but the weather was a bit stickier than I was used to – I actively laugh at Minnesotans who think that we ever have "humid" weather. We got a very nice history lesson from Steve on the area which included a natural spring that had made it a popular spot for centuries. The area still reclaims water as it flows. So we stopped at the reclamation plant to refill and use the bathroom. Lisa wasn't looking well and I was hungry, availing myself of a ham sandwich she had graciously given me that morning. We pulled into the Sponge Docks of Tarpon Springs and hit the Hellas Bakery as our control and a rest spot. I had brought enough electrolyte tablets to create an ocean so I went with an ice cream cone and some rice cakes instead of a beefier lunch. The area was crowded with tourists. After Tarpon Springs, we had another 30 miles or so to Odessa and Susan and I chatted for some time. Being the master of this route, she knew every corner and there is nothing that beats local knowledge. It's nice to get to know other riders on a ride. I also chatted with Steve a bit as we made our way east. This was the hottest part of the day with temperatures in the 80s and a sticky sun.I was relieved when we pulled into the Starbucks at Odessa. Aside from eating down my bag, I had a chocolate milk and a LARGE mocha frappuccino. The frappuccino is one of those things that has so many calories, I wouldn't think of ordering one, but today I figured I wasn't going to worry about calories though I was somewhat shocked at how LARGE large actually is.I was even more amazed 5 minutes later when it was gone…. Three cheers for my digestive system. The brain was relieved to be a bit cooler too. Another 30 miles to the next control, also mainly on bike paths. Cypress trees and swamps dotted the landscape with gentle rollers (Florida style hills). I got to chat even more with Susan whose company I will look for in the upcoming Cracker Swamp 1200k. As we exited the trails and made our way to the 7 Eleven, ominous clouds swept to our east.Not such a great thing considering the otherwise perfection of the weather. At the control, we were horrified to discover we had left the control cards back at Starbucks! Fortunately Bryan would come to our rescue. Our route was quite close to him and we called to find out that someone had turned in the cards. He would pick them up and bring them to us at the next control point. At this point, Lisa was not feeling well. We spent some time puzzling things out and finally figured she hadn't gotten quite enough salt for the Florida experience. Scratch Rescue mix, pickles, a B vitamin and a bit of rest perked her up and we stayed long enough to reclaim the cards and happily allow the storms to the east to pass. The next 30 miles down Cortez Road were lots of fun with a big shoulder and very smooth pavement. I was actually amazed at how nice the pavement was – certainly no threat of frost heaves in Florida. At Tarrytown, the night was just starting and we had a truck stop dinner. Perhaps one of the advantages of a shredded olfactory nerve is that lack of taste and smell can be an advantage when dining out at mini-marts. The last of the storm clouds seemed to be disappearing south. 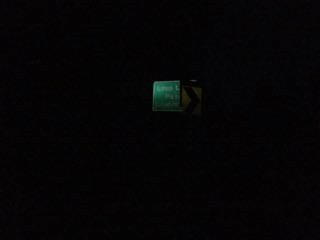 Lights and reflective gear went on as we finished our final miles on Cortez Road and turned onto the Van Fleet Trail. Though Susan might disagree, I loved the trail.It had a super spooky quality with Spanish moss dangling down in the dark, a light fog from the previous rain, and trees that arched overhead like so many crone's fingers. I kept thinking that the vampire Lestat was probably out on his Pinerello somewhere in the dark. The only problem was that the earlier storms had blown all sorts of debris onto the trail. My visual processing speed still isn't the greatest and on a new bike, I slowed considerably to avoid hitting things – I was on 23mm tires instead of 30s so I felt every one I failed to miss. I also had a large bug fly down my throat and experience death throws in my trachea.That was also enough to merit a short stop. Rando truck stop dinner - it just doesn't get any better than this. Especially without a sense of taste. We experienced our first gently rain on the trail. Not even enough to really bother but as we exited onto Commonwealth Road, it got progressively harder and it was pouring by the time we hit Shell in Polk City. The warm temps made it quite comfortable, but the air conditioning in the control was way too much. I ate some more food from my bag and we cleared out quickly. 2 more controls to go! We had made it almost 300k! Lisa and I finally got to chat during the next few miles.The rain came to and end and things dried out quickly. About 15 miles in, she mentioned being tired and whether I was just suggestible or whether my line had run out, I suddenly realized I was excruciatingly tired! Hey I just saw Deadpool and though he looks cooler in lycra and will likely make more money, but I can rejuvenate almost as well. It turns out that the brain injury has a side effect of reducing the amount of warning you get from fatigue down to a very short time. I asked to stop and the 4 of us made an unscheduled halt into a Marathon station. I got off the bike, flopped on the pavement and was instantly and deeply asleep. I came to 20 minutes later with no concept of how long I had been out feeling much refreshed and we continued on. The second to last control was at a truck stop near an interstate. Very careful attention to hydration made it a very welcome sight for all of us. Most of the time a gas station is just a gas station. This one had lots of accouterments including recliners and a full screen TV playing Spider Man. There were even big massage chairs although I thought that if I sat in one, I might go into a coma.Remembering truck stop chicken of brevets past, I snagged the last few pieces. Without a sense of taste, it's hard to be sure but they might have been horrible. I tossed the last 2 in my pocket where they remained for the rest of the ride. Did I mention there were actually a bunch of people milling around too? Hey 2 AM is just when things get going. Like birds of a feather, Susan and I have similar opinions on routing through things that are interesting at the cost of speed. It turns out that Easter weekend was also Gay Pride and Yber City is a hip party central even without a holiday and a festival going on. Despite it being 3:00AM, it was as crowed as Miami at rush hour.People poured in and out of bars (the hookah bar was quite busy). Traffic was thick.I would not have been surprised to see streakers. Twinkle lights were overhead and rainbow confetti was underfoot as we snaked our way through the traffic. Ever been annoyed by a single car with the music turned up to 11? How about if EVERY car was doing that? It felt a little like my heart might go into tachycardia at any moment.But what a party it was. We disengaged and avoided a wrong turn that would have led us through the projects instead making our way along Channelside and through Tampa. Unlike the people-intense Yber City, the late hour in Tampa had emptied the streets.We went by all sort of million dollar yachts and stately mansions as we wound along Bayside Road. We finally arrived at our 22 hour control almost an hour early. I'd like to say I spent a bunch of time chatting and congratulating everyone, but the reality is that I ate an ice cream bar and feel back asleep for 40 minutes. Lisa and Susan got a chance to talk and I started thinking about how I would write about this ride.Pictures were going to be limited since I dare not try and take them while riding yet. I bemoaned the fact that I never had pictures of my naps or any of the other odd moments. "Oh contraire", said Susan, "that last nap of yours has been on Facebook for hours". You can always count on your friends to post your finest moments I guess. By the next day, that picture was the most liked picture of me that has ever been on Facebook, fame. The last few miles through St Petersburg were lots of fun and we had enough time to see some more of the waterfront including the new Salvador Dali Museum (I have a thing for surrealists). We managed to get lost in the last 1 mile and finished the ride by hoofing the bikes across someone's front yard. Paul Rozelle has a beautiful home by the water and was busy cooking up breakfast for one or two other teams as we got there.I even had a shower. Needless to say, photos of all sorts went up on Facebook and though it was likely a drop in the ocean for a real social networking butterfly, I got a chance to see how many people wished me happy thoughts and, whether they know it or not, are part of continuing recovery that seems to finally be in high gear. The big finish! Note our carefully coordinated Team Ouroboros jerseys by Lisa. I went into this riding thinking that I would be hanging on for dear life. It turned out not to be so. In fact, the biggest thing I discovered on this ride was how much I liked riding a tai-bike. I finished this ride with NO numbness anywhere, no stiff neck, no soreness. Who would ever have thought that? So many thanks go to those that spent a weekend with me and were such a part of an amazing ride. Susan, her husband Robert and their friend Bryan were all so welcoming to someone from out of state. Many thanks to Lisa, who made a truckload of food and is always a welcome sight on the road. And I hope to meet up with Steve again someday as well.I had such a wonderful experience. It makes me even more thrilled to be coming to the Cracker Swamp 1200k, only 6 months away.